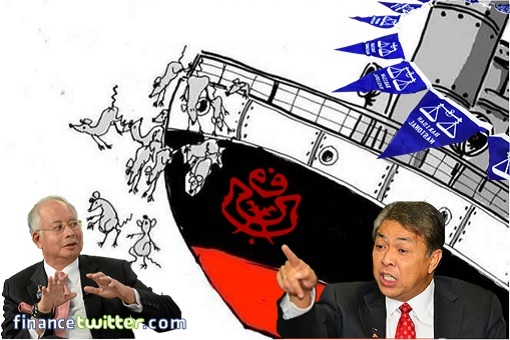 Malaysiakini : Sarawak-based BN splinter coalition Gabungan Parti Sarawak (GPS) will work together with Umno should the latter retake Putrajaya in the future, Umno presidential candidate Ahmad Zahid Hamidi said. Zahid, who is also acting BN chairperson, claimed GPS was formed with his consent following discussions with Sarawak chief minister Abang Johari Openg. "Myself, together with Abang Johari and leaders of the (former) Sarawak BN parties agreed that they should form GPS. "However, they have given me their assurance that God willing, if we work hard and become part of the federal government again, they will join us to form the federal government," he said in a video recording.